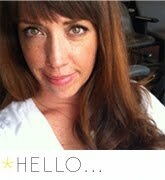 Bionic Briana: Nut Butter Love. Nut Butter + Photoshop fun. Valentines' Day 2013. Every year I have the best intentions of doing something super cute for Valentines' Day. Decorating. Baking. You know, typical stuff. But all of a sudden the day is here and I've done nothing! With a broken washing machine and bags very slowly being unpacked and a clingy soon-to-be 11-month old, I just didn't seem to have the time. But I did make one thing! 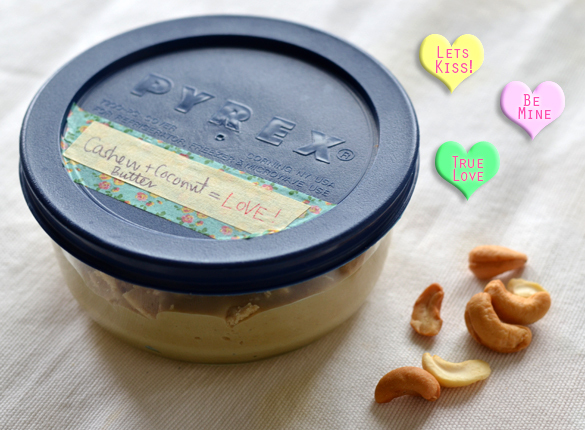 Nothing says I love you like freshly made nut butter, right?! You guys. This cashew + coconut butter might be the best yet. I made it two days ago and I've already eaten half of it. Okay. Actually I've eaten more than half. I go in for one bite and then, all of a sudden, I'm scooping up my fourth heaping spoonful. Here's what you'll need to make this decadent nut butter. Add all the ingredients to a food processor. Turn it on and let that blade work its magic for 6 to 10 minutes. But a warning! IT IS LOUD. Still freaks Alice out every single time. Now this nut butter is significantly thicker than the almond butter version. But that could also be because I was impatient and didn't let it blend long enough. So when I made toast for Alice this morning, I gave a spoonful of it a quick zap in the microwave and it was instantly spreadable. And then after putting it on her toast, I licked the bowl clean, of course. And, in the spirit of Valentines' Day, here is a fun little story on the history of the 144-year-old conversation hearts. NECCO manufactures eight billion Sweethearts per year and approximately 100,000 pounds of candy hearts are sold each day (!!!) during the six-week period between January 1 and Valentine's Day. As a somewhat former self-professed candy addict, I bet that I've eaten a good portion of those eight billion conversation hearts! And P.S... a look back on Valentines' Day 2011 & 2012. I've tried your recipe for Almond Nut Butter and it was really easy and delicious. I'll have to splurge and try the Cashew style nut butter. Glad Ms Alice likes it!